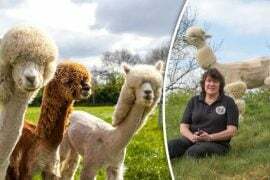 A leading psychologist has criticised an animal rights organisation for making online video games that expose young children to brutal images of violence and murder. 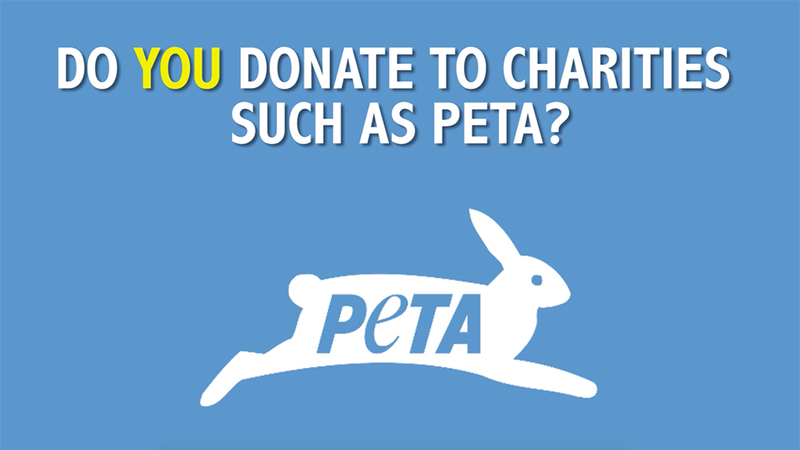 The horrific videos are being advertised by People for Ethical Treatment of Animal organisation (PETA) which claims to protect animal welfare. But their crude stunt backfired when a top psychologist said the browser games can have serious psychological impacts on developing minds. 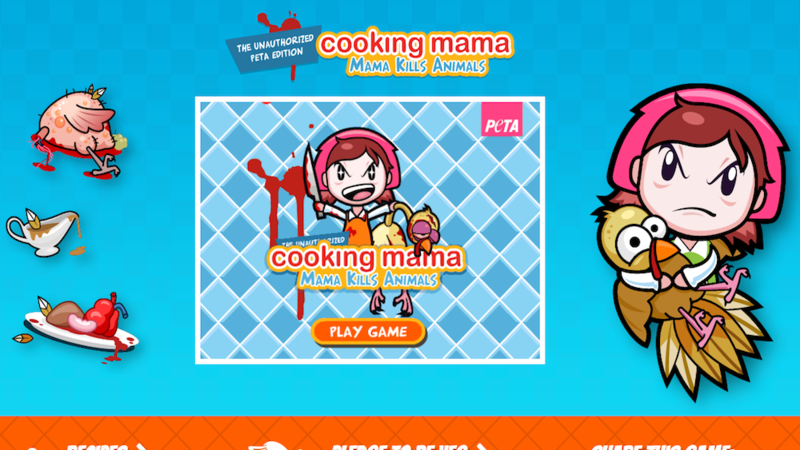 Aimed at younger audience, PETA2 website features several grotesque parodies of well-known games such as Cooking Mama, Super Mario, Pokemon, Cage Fight, Super Chick and others. The gory, disturbing videos claim to promote veganism and animal rights. 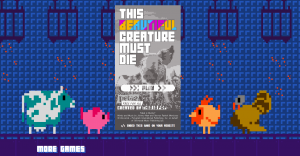 Mama Kills Animals is a game by PETA that is aimed to raise “awareness” of turkey cruelty. The game gives an idea of how to prepare turkey from scratch, and portrays the murderous, vicious, and somewhat insane character of Mama- a woman who leads players throughout the game and rates them based on their performances. When the game comes to an end, the evil version of Mama turns nice and uses tofu (bean curd) instead of meat to create her recipes. Despite being publicly available for all age groups, many websites featuring it warn users in advance that the game is not suitable for kids and may also be upsetting for some people. Dr. Glen Mason, a leading counseling psychologist from Belfast, says that the online characters’ aggression can have a serious impact on young minds. The psychologist also said violent games can cause even further damage to people who already have difficult relationship in a family. “That type of video games can definitely add to the difficult relationship with the family even more. “Tough family relationship and the level of violence a child gets from a video game can increase the overall exposure to violence. 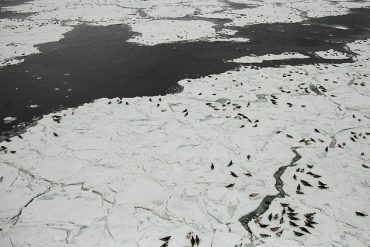 “The virtual reality on the screen can impact young people’s behaviour and there is a possibility that games like Mama Kills Animals may not be helpful in terms of relationships with their parents. 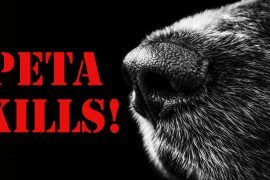 However, PETA’s communications team member Joel Bartlett doesn’t see anything wrong with the Mama Kills Animals game and openly invites anyone to play it online. She says on the website: “Oh, and I think I forgot to mention that this game is the best thing ever. So play it now, or else.